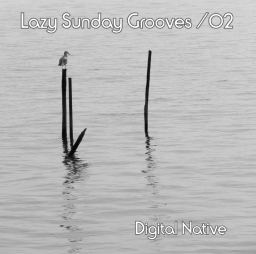 Episode 2 of downtempo tracks for a nice sunday afternoon (or any other day). Including the weird and wonderful, rare remixes and classics by Erasure, Sin�ad O'Conner, La Tour & Kraftwerk up to all the best in today's chill music with the awesome Zoo Look track Holdin' On. Enjoy! Heb hem nu opstaan, nou je begrijpt toch wel dat ik een heerlijke zondag heb he..?! GREETINGS! I love your mix. Your style is very subtle, which is refreshing. The way you start out then smoothly, almost unnoticed, move from one thing to the other. It flows so naturally, like the blood in our veins. This mix is like that...and the air you breathe. Thank you for this...I found it on a Sunday morning, and it is the perfect way to start the day. Nice chilled out mix..good feel to it! This the music and collection for my soul. Your work is really appreciated. netter mix! gefällt mir gut! Thanks for sharing this nice new mix.